I am ashamed to say that before last year, I did not know the South Carolina state motto. However, I felt those words long before I ever heard them spoken as I grew, lived and loved in the community I made my home. And last fall, those words became the heart of what got me through the most difficult time in my life as an entire community wrapped their arms around me and my family following the loss of my husband, Officer Gregory Alia. Nearly immediately after we laid my husband to rest, the Great Flood ravaged Columbia. We saw heartbreak abound. Yet, against that landscape of sadness emerged some of the most beautiful displays of love and humanity that we could imagine. We witnessed courageous first responders serve without rest, saving lives and caring for the well-being of others. We watched as neighbors helped neighbors and people dedicated their efforts to caring for one another. We have seen our share of tragedy, and yet we show time and time again how we rise above the pain to meet it with love, strength and resilience. The Gervais Street Bridge Dinner is a symbol of that unity. It is a symbol of South Carolinians, of our community, of us. Just days after the horrible events of last October, I received a call from Emile DeFelice, curator of the Bridge Dinner and Soda City innovator. He told me he wanted to honor not only my husband but the many, many other brave first responders who served us so valiantly in the flood. As a sign of that gratitude, he asked me to invite 200 first responders to the first ever Gervais Street Bridge Dinner. That night was truly magical. Set against the beautiful architecture of the bridge and a cool October evening, we celebrated with 200 first responders and 800 other guests. There was music, there was laughter, delicious food and joy. For a moment in time, we were able to put aside the sadness to celebrate the tremendous spirit of our home. This year, we have the chance to celebrate once more. While trying times continue to grow, South Carolina remains a beacon of hope. There is much work to be done, and we cannot stop pushing for change. At the same time, it is important to take a moment. Breathe. Celebrate our efforts toward a brighter future. Join us in this celebration on October 23, 2016. Tickets can be purchased at http://gervaisstreetbridgedinner.com/. Proceeds raised will support four local charities: Congaree Riverkeeper, Canoeing for Kids, Harvest Hope Food Bank and my own organization, Heroes In Blue. I am a proud supporter of this spectacular event. I stand with Emile and our Soda City friends as an agent for healing and celebration. Please join us in this mission and dine with us on the bridge. 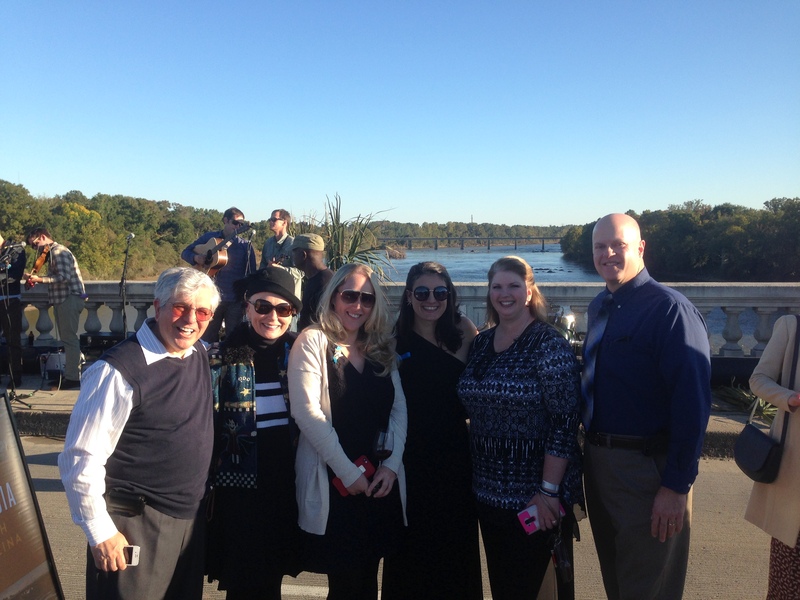 Dr. Richard Alia (Greg’s father), Alexis Alia (Greg’s mother), Rebecca Alia Mesnil (sister), Kassy Alia, Leah Shumard (wife of Russ), and Russ Shumard, Lieutenant at Forest Acres Police Department.